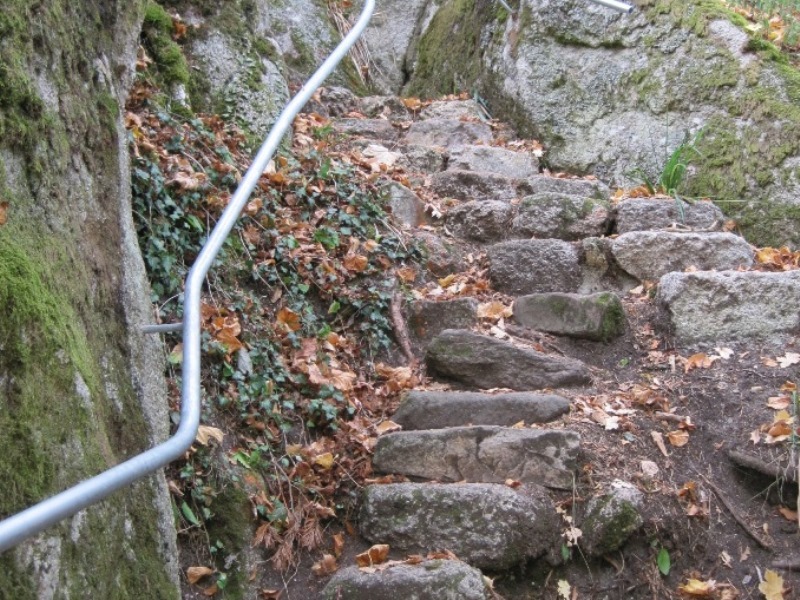 On the lower “Castle Rock” in Gremmelsbach, a district of Triberg, once raised the castle of “Alt-Hornberg”, built around 1100 by Adalbert of Ellerbach in connection with the development of the Middle Black Forest by the Benedictine monastery of St. Georgen. A water cistern of approximate two meter depth, bearings, plinths and debris piles are the only remains of the headquarter of the “Lords of Hornberg” and “Triberg”. It is interesting to have access via the adventurous stage plant. While, arriving up on the rock, the enthusiast for nature can enjoy a breathtaking panoramic view into the valley of the Gutach and in the north over the town of Hornberg to the Brandenkopf, in the south to the heights of the Black Forest, over 1,000 meter above sea level, around Triberg. 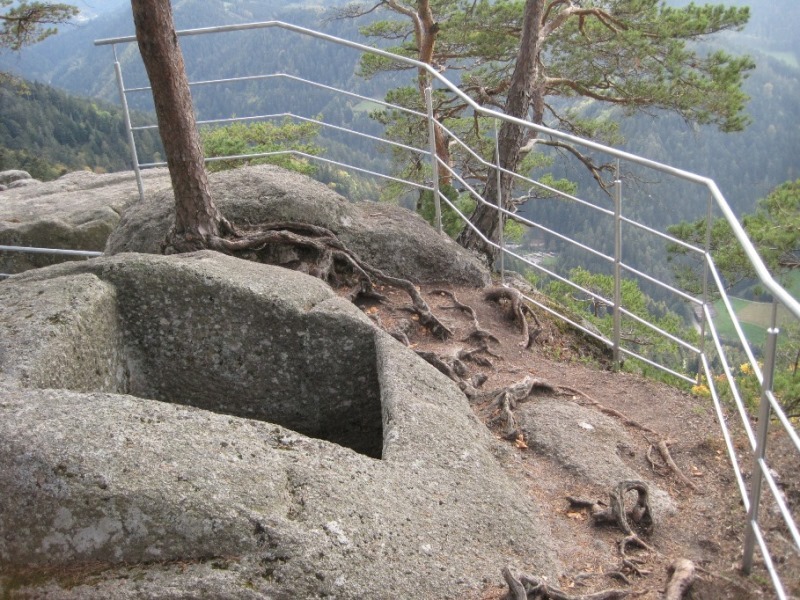 The neighbouring “Upper Castle Rock” and the “Rappenfelsen” offer fantastic views to the Middle Black Forest.